With immersive sensations like Sleep No More edging towards its tenth anniversary in New York City and Then She Fell closing in September with more than six years under its belt, not to mention dozens of smaller, short-run immersive and site-specific theater pieces taking the theater scene by storm, it’s time for kids to get in the picture. 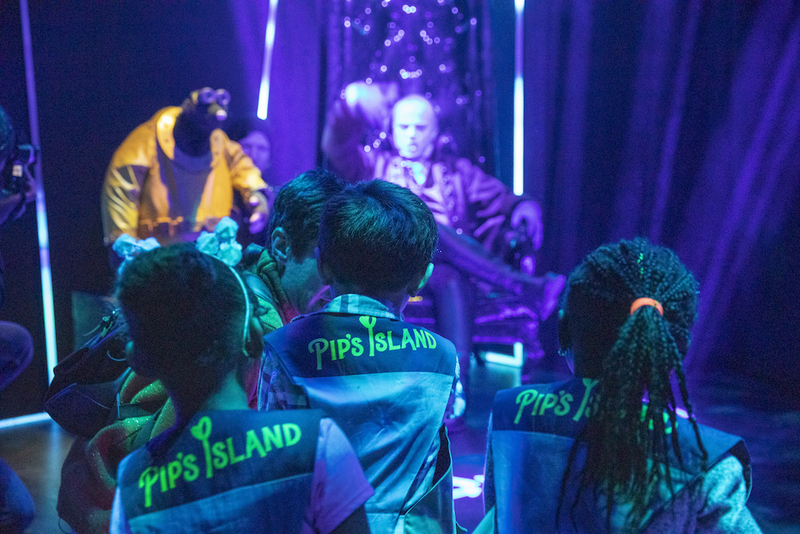 Reopening after a limited run in 2016 in a new custom-built, permanent home of the Pod Times Square hotel (though technically it’s several blocks west in Hell’s Kitchen), Pip’s Island takes kids on an adventure full of swashbuckling problem solving and adventure. Upon stepping out of the elevator and onto the “island,” the tikes are promptly fitted for their explorer gear and paraphernalia. The guide makes it clear that the young ones are the key to saving Pip’s Island, which is in terrible peril from a wannabe evil overlord, and explains that the grownups should remain on the outskirts, to be more easily protected by their fearless offspring during this adventure. 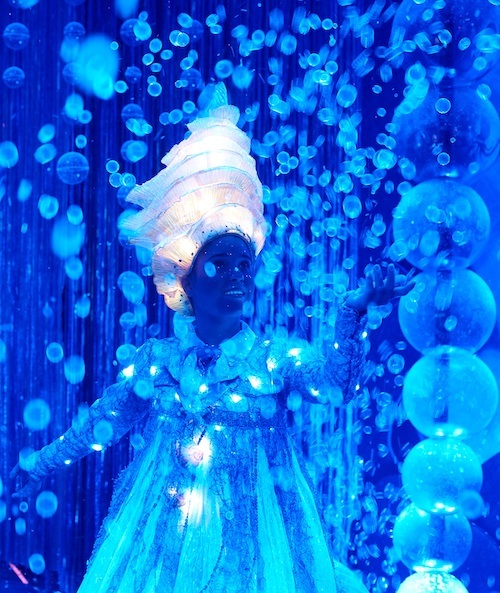 For the next hour, the pack of junior theatergoers troop through magic forests, bakeries, flying ships, underwater coves and more, encountering about a dozen actors who are all part of the adventure. Founders Rami Ajami, Rania Ajami, creative director Walter Krudop and director of production David Valentino create nine very different spaces full of energy, activity and light for the young adventurers to explore. Brooklyn-based Pink Sparrow fills the spaces with multi-sensory experiences including giant moss covered rocks to search under, an underwater wonderland replete with live bubbles to explore, and an actively snowing winter path to wander down. Famed puppeteers Monkey Boys’ (Sesame Place, Saturday Night Live, Broadway’s Charlie and the Chocolate Factory) raucous mole henchmen and six-foot furry baker Mrs. Grumble Plum keep the wee ones enchanted with tiny twitters of trepidation. Although all of the visual and tactile fun and splendor is a draw, what really makes Pip’s Island worth charting are the engaging performances. Through efficiently managing scripted moments and improvisation, the cast holds the tots attention tirelessly guiding them through their imaginary world while never losing a single diminutive soul. 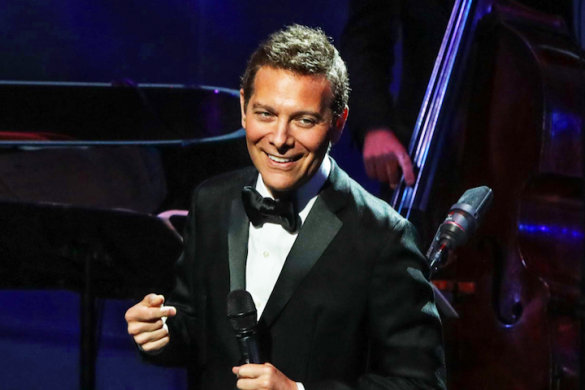 For grown-up chaperones, the witty and irreverent style keeps a sly smile on our faces and distracts us from glancing at our tech, wondering when we can be free to enjoy our after-show mimosas. Though the energetic characters, puppetry and scenery are delightful, the actual tale that Pip’s Island tries to tell is too specific to garner multiple visits. Each journey to this island will likely be the same, with each room featuring a structured beginning, middle and end. If the narrative loosened just a little, allowing kids more input in the drama’s direction, Pip’s Island could have a gold mine of repeat customers. 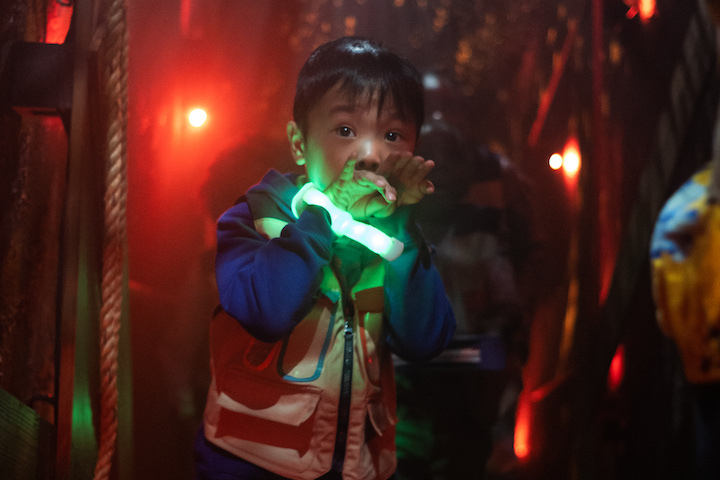 An endearing and exciting foray into the world of immersive theater for the next generation of theatergoers, Pip’s Island gives them something to do, something to see, and loads of things to touch. The only thing lacking on this island is the opportunity to give children something to say and create. Offer that, and these young island hoppers will never want to leave.